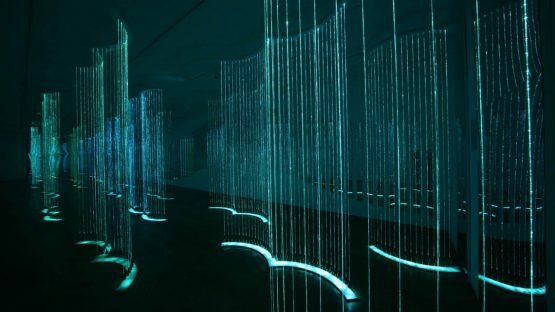 “Cantus Arcticus” is a kinetic sculpture from the artist Bruce Munro at Waddesdon Manor in Buckinghamshire, United Kingdom. 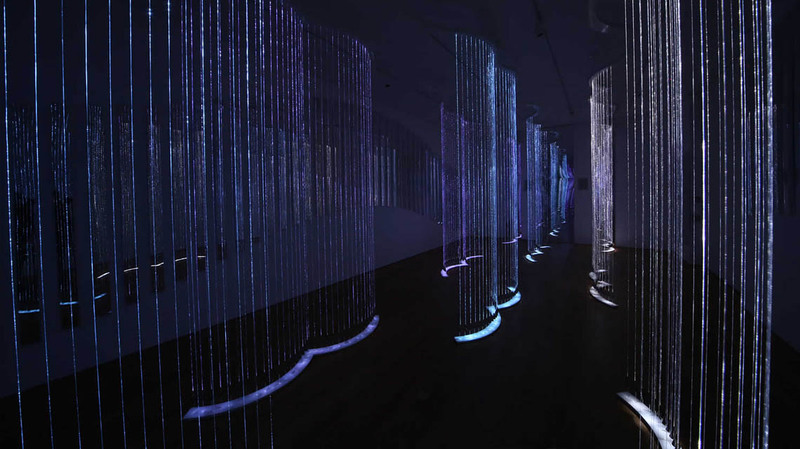 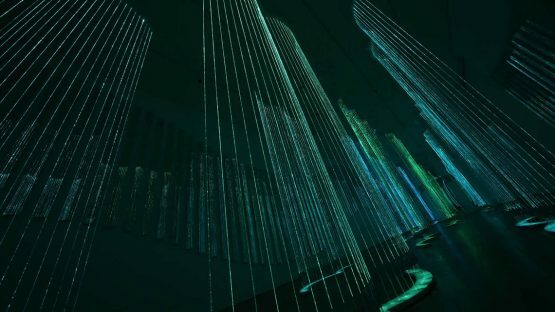 It is composed of 15 fiber optics forms or curtains with intense sparkling effects. 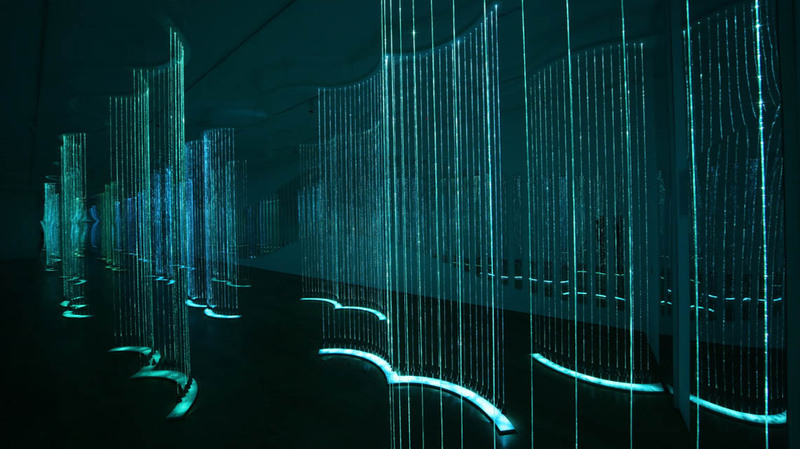 The light is animated with slow movements and color changes synchronized with the ambiance music. 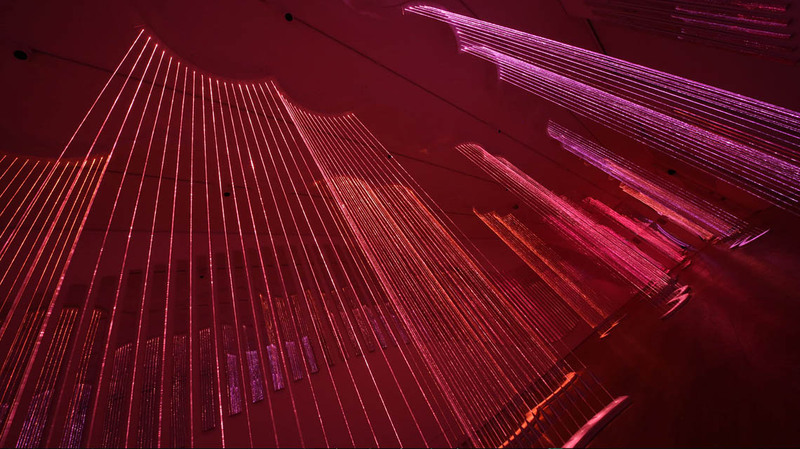 AFO SSF101 light guides with 7 x 0,75mm Toray Ultra fibers and laser-processed sparkles. AFO MDI110 illuminators with dychroic color change and DMX512 control.